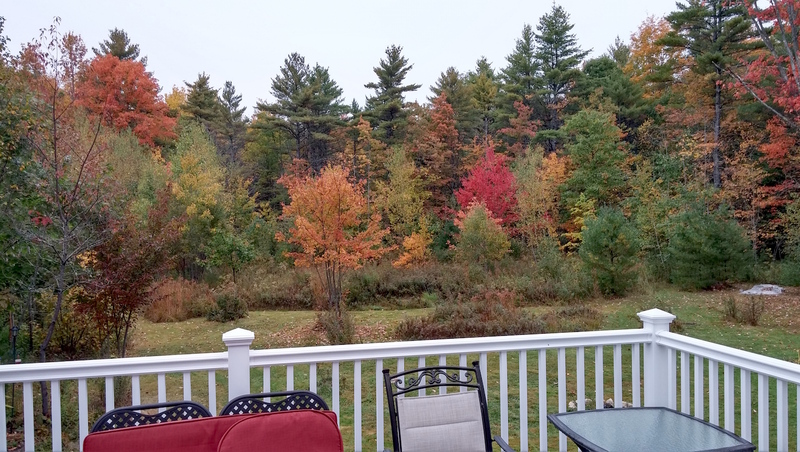 Some people think I’m crazy when I say this, but to me the fall colors in New England are more impactful on a dreary, overcast day; like my backyard above, taken just before a steady rain. The days when the weather doesn’t cooperate, when it’s misty and drizzly, create a magical beauty which envelopes me protects me and nourishes me. The leaves glow with an inner brilliance, which to me is very satisfying. The quiet, dark days are good for my soul. But why? It all has to do with how I view and perceive things in my life, and the things I search for. What I have come to realize is that what I value in my life has been undeniably affected by the time I spent in a coma. Since then, I look for stuff that touches my soul; that “does something” for me. I think that, subconsciously or consciously, I look for ways to go to a low key and peaceful place, where I’m kind of cocooned, and I can’t help but wonder about the connection between feeling this way and my experience of being comatose. Much of my coma was a black hole, or at least I think of it now as an undefinable black hole. I have a sense of spending time in a dark, overwhelming place. However, the two weeks I spent semi-comatose were very different; this time was nerve-wracking and frightening. During these two weeks I was in one of two states: either I had my eyes closed and was dreaming, or was sitting with with my eyes open, watching what was happening but not understanding. My dreams all brought in what was in front of me when my eyes were open, and all had a common theme: I was trapped, either in a closet with bars, or on a bed with bars, and even though I pleaded with anyone I came across to be let go, no one paid any attention to me. I could not understand why no one would let me out of where I was, and was completely scared and despondent. When I in bed, I was often tied to a wheelchair set in the middle of the Intensive Care Unit, with my eyes open. I would sit and watch as nurses and doctors scurried back and forth, and in my mind I was yelling and screaming to them to be released, but no on would pay any attention. It was maddening and frightening, being treated as if I was invisible. One afternoon, after two weeks of this, I was tied to my wheelchair with my eyes open when the phone rang. My mother happened to be the one who was calling. Being three hours away, she would call just to talk to me so I could hear her voice, in the hopes that it would jog me, and I would wake up. Gradually, as I sat tied to my wheelchair, I realized I had some control over my body. One of the first things I became aware of, outside of my own body, was the ringing phone and the nurse telling me it was my mother. I didn’t move, since I didn’t know who these guards were standing around me, dressed as nurses. I was sure they were dressed as nurses to fool me. Seeing deception as my only chance to be saved, I was very careful not to let anyone know I was conscious. The nurse held the phone to my ear, and my mother began talking. Terrified, hoping my plea would be heard, I blurted out, “Help!! I’m being held prisoner! !” I don’t remember what happened after that, but I am here today, so someone must have heard my cry for help. I have carried that with me for forty years, never giving thought to how it might have affected me…until this week. It has affected me in very deep, but subtle ways. One of the subtle ways it has affected me, I believe, is in my constant search for some kind of peace and an avoidance of stressful situations; a search for a place in the world which is quiet and secure, and which I understand. One such place is the woods on a misty fall day. To this day, I just generally love being in the forest, with a light rain or snow falling, or the full moon out, walking, snowshoeing or cross-country skiing. Night time is the absolute best. There is no stimulation: noises or bright lights, and time stands still. It’s just me and the silence. And it is deep, to the bone silence. I treasure each moment in my cocoon, with no stimulation or distractions to cloud my thoughts and confuse me, or distract me from the important matters at hand. Thank you for putting into words exactly how I feel. I am streaming tears with heart pounding. I also felt trapped and unable to communicate was very scary, frustrating and the knowledge of being all alone – I wanted to cry out – HELP! When I became more aware, eyes open, tube out of throat, the very movement of me was excruciating, however I could not relay this info. They would move me to a sitting position in a chair and to this day I think that girl was mean and enjoyed causing me such pain. What thoughts !!!! I now know that I was never alone, God was with me and to this day I seek to be alone, avoiding situations that distract and confuse and to focus on God and his love. Thanks for all your moving stories. We all have different experiences, but we are related in a weird way. Thank u for the beautiful story. I can related since I’ve been in coma. Your words and discipline of of ur experience is simular to mine. I avoid stress, bright lights, noise. But many people can’t understand it’s over stimulat ing for me. I usually have a seizure when my daughter especially has no patience and fights with me. Now I’m alone, with a friend who is compassionate and understanding. My heartaches 4 my family but they are recovering too. In time. I’m thankful u shared this with me. Now I now I’m now alone and life is beautiful. My brother was in an induced coma following a severe respiratory infection. He had previously been brain-injured. He says when he was asleep that little green men with sharp, razor-like fingers were inside of him constantly slashing at his insides. They only time they went away was when he had a visitor. So talking to comatose people does help them. I was tied to my bed when an angry “nurse” notice me unscrewing my traction on my knee. And I noticed my situation more when an angry doctor told me I had to stop peeing the bed. I was in a coma for 2 and half weeks from car accident in 1982, I was 20. Nature judges not and keeps stillness alive. My “coma” was only about four minutes along with not breathing. From a dark peaceful place to soccer teammates calling with some time trying to figure out how to talk to them. When I “came to” I said I was OK but I could only see the equivalent of a dime at arms length. Afterwards I had to learn to read again. Sometime later I was at another school just making friends and aquatences, 3 died in an accident and a forth was in a coma. When he returned to school, we connected with common understanding even though no word had ever been spoken about my tbi. I also enjoy the solitude of forests and night often with walks without lights through the woods. Melissa, I’m very sorry for your loss and for all you and your son had to endure. Yes, I had this experience, but I don’t mean to imply that my experience is universal. 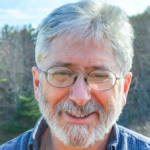 A friend of mine had locked in syndrome, and while he had moments similar to mine, it wasn’t all bad–there were times of gratitude and thankfulness. Beautiful words, Jeff, and a Heavenly backyard! “Night time is the absolute best. There is no stimulation: noises or bright lights, and time stands still. It’s just me and the silence. And it is deep, to the bone silence. Very moving and powerful description and imagery. Thanks for putting into words some things that are beyond words. Jeff, I was in a coma after my car accident on 3-26-06, but don’t remember ANYTHING from that time. I think my coma was about 2 months, from April to end of May, when my eyes opened. My Mother tells me that I would just look around the room & not realize who people were. She doesn’t know for sure, because NOBODY knows if I was thinking, or screaming in my head. I didn’t talk for about a year. Jeff, I’ve been asking questions to my Mother for about 5 years, with scattered answers given to me that don’t make much sense. Your book has started jogging my memory a little. Thank you!